Deborah De Nicola - Deborah DeNicola’s most recent publication is Inside Light, a chapbook from Finishing Line Press and her spiritual memoir The Future That Brought Her Here, is forthcoming in April from Nicholas Hays /Ibis Press. 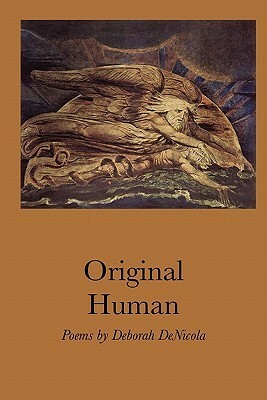 A full collection of poetry, Original Human, is also scheduled for publication in 2010 from Custom Words Press. Deborah edited the anthology Orpheus & Company; Contemporary Poems on Greek Mythology, from The University Press of New England. She was awarded a Poetry Fellowship in 1997 from the National Endowment for the Arts, received The William T. Foley Award in 2000 from America, The Barbara Bradley Award in 1996 from The New England Poetry Club, The Packingtown Review Essay Award 2008, “Best of Net Anthology 2008,” The Briar Cliff Poetry Award 2007 and a Special Mention from The Pushcart Prizes 1992. She is the author of Where Divinity Begins (Alice James Press)and three chapbooks, Harmony of the Next (forthcoming November 2005) which won the Riverstone Chapbook Award, Psyche Revisited (1992), which won the Embers Magazine Chapbook Contest, and Rainmakers (Coyote Love Press ). A Bread Loaf Scholar (1993), a recipient of fellowships from The MacDowell Colony (1994), The Centrum Foundation (1995), The Virginia Center for the Creative Arts (1997), and The Vermont Studios (1999). Deborah DeNicola was trained by the Dutch Jungian Analyst Robert Bosnak who coined the term "Embodied" dream work. She teaches poetry and dream image workshops in South Florida and reviews poetry for The Ft. Lauderdale Sun Sentinel.